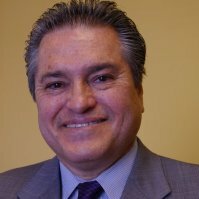 Born and raised in Northern New Mexico, Leroy Pacheco has been the President/CEO of The Loan Fund since 2007. He has over 30 years of banking and community development experience. Currently, Leroy serves on the Boards of Directors for American Indian Chamber of Commerce, Finance NM LLC Advisory Board as Board Chair, and the Valley High School Parent's Advisory Council as Council President. He has a BBA from New Mexico State University and completed graduate studies at DePaul University. Habla español.